Hello! I am so excited to be writing here in my new space: The Daily Waist! The Daily Waist is a corset-focused lingerie fashion blog, written by corsetrix Marianne Faulkner - me! With any luck you've read some of my previous columns on The Lingerie Addict. My professional life is basically all corsets all the time, from my day job as a patternmaker at Dark Garden and my modern corset line Pop Antique to my contributions to the Oxford Conference of Corsetry. Now, I do already have an in-house blog for Pop Antique, so you may be wondering about the distinction between it and The Daily Waist. Though I believe passionately in my own line and its innovative concepts like Knit Corsets and Integrated Corsets, I am also very excited about the breadth of designs made by my contemporaries like Sparklewren, Vanyanis, Purdy, Neon Duchess, Laurie Tavan, Karolina Laskowska, and so forth. The Daily Waist is my place to shine a spotlight on their work without creating brand confusion. 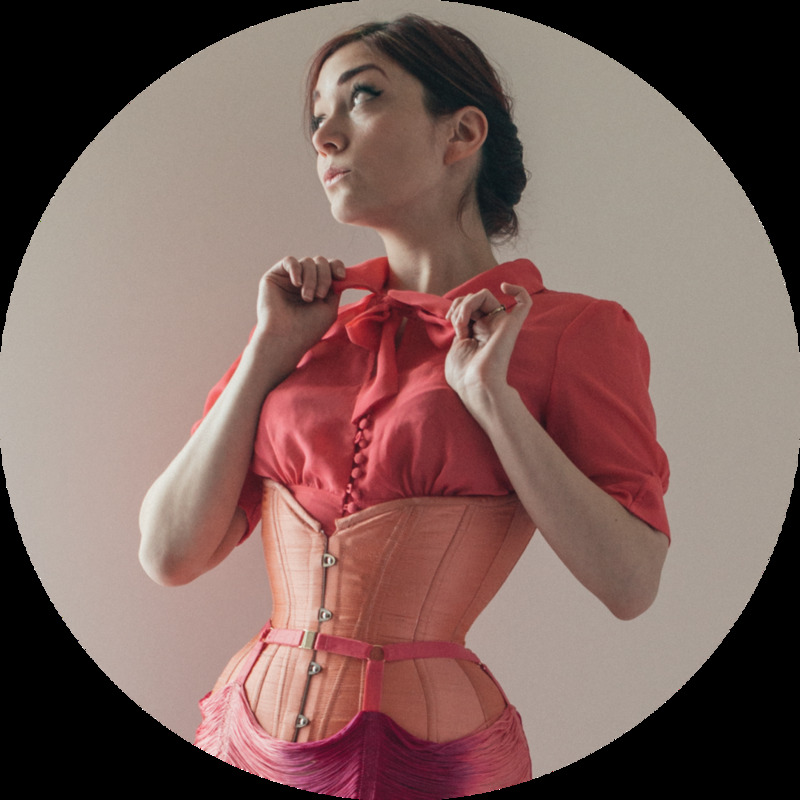 True to my background as an independent designer, I will focus on the artistry and craftsmanship of handmade corsets – there are other resources for information about mass-produced corsetry.